The application to be shown immediately is a file generator. 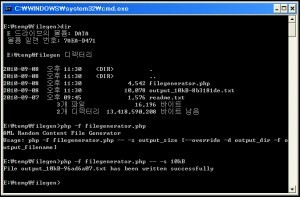 It will create a file of random content with size specified by user when executing the file. The content consists of alphanumeric ASCII characters that are picked randomly. No newline are included in the file. Yet, user can tweak the application to make the generated output file also include newline. 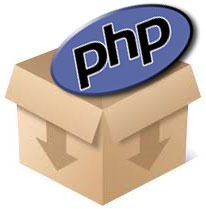 This application can be useful for those who are learning how to write a command line-based PHP utility and also for others who want to conveniently generate files of various sizes for workload testing purpose. Nice Article. I didn’t know you can use php this way. Maybe not the best solution but good to know. Thank you for sharing. yes, it may not be the best way to do things. but we’ve got an alternative. your article is nicely written. it seems that symphony implements some design patterns in its built-in design. those who want to code CLI tools in a more structured way may take benefit from your article.